Celebrated worldwide on October 15th of every year, White Cane Safety Day is a time to recognize and honor the achievements of people who are blind or visually impaired and to appreciate the tools available to help them navigate the world. First established in 1964 with the help of the National Federation of the Blind and approved by Congress, this holiday was set aside as a time for people and organizations to celebrate the independent travel the white cane allows while also bringing national attention to issues around safety and accessibility. Some events include hosting a dinner in the pitch dark or organizing a walk in the community to raise funds for training seeing eye dogs or research. While flowers are visually pleasing to those of us with the gift of sight, they are no less lovely to enjoy with our other senses. 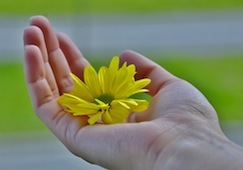 Below are several flowers that can touched, smelled or otherwise appreciated more than just in the eye of the beholder. 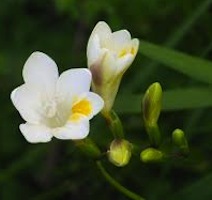 Perhaps the most distinctively scented of all the flowers, the gracefully arching stems of freesias hold aloft several upturned trumpets of petals that emanate a slightly sweet, slightly citrus flavor. 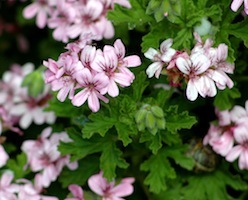 The fragrance is both fresh and spicy and smells of youth and spring. Said to represent “trust” in the language of flowers, this bloom is the perfect symbol for White Cane Safety Day. 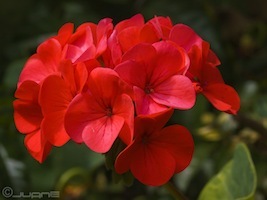 An amazing array of shapes, sensations and smells exist within the scented geraniums. Chocolate mint, coconut, peppermint, lemon, apple and rose-scented varieties of these fuzzy leaved Victorian favorites are available and extremely easy to care for. Able to grow in pots outside in the summer on inside by a sunny window, these are the perfect houseplants for your sense of touch and smell. Brush their wide and wonderfully soft leaves for a captivating scent that will calm and relax all year long. 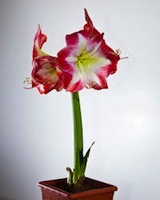 One can’t help but observe with pride the progress and development of the amaryllis flower. Starting from a rough and humble bulb which you plant in a container just below the surface of the soil, the thick bud emerges and grows straight upwards over a period of a week or so. Carried more than a foot in the air by its sturdy stalk, the buds break into four ginormous blooms that last for a week or more. The sheer size and steadiness of of growth are an impressive thing to witness and this can be done as much with the hands as with the eyes. Consider this phenomenal plant a symbol of growth and achievement.